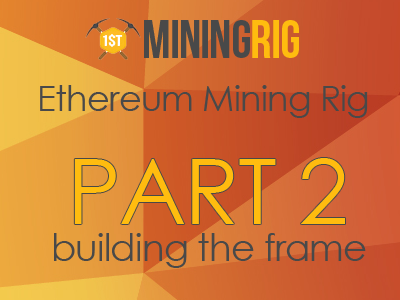 There’s an important update for those of us who is dual mining Ethereum and other coins on 2-3 GB cards. Today, Claymore has released an update for his dual Ethereum plus DCR, SC, LBRY, PASC, Blake2s and Keccak GPU miner (both for AMD and Nvidia). The new version 11.6 brings some new important features as well as bug fixes. Eventually, the focus is on weaker cards. Weaker Nvidia cards now enjoy about 1% hashrate improvement; moreover, 2GB and 3GB cards now have zero devfee when running under Windows 10. In addition to that, 3GB cards now also have their ETH mining lifespan slightly increased – Claymore states that he has improved memory handling so those cards can work with a larger DAG file than they used to. There are also some interface improvements (new commands) as well as some optimizations for the Linux version of the miner. improved hashrate for weak Nvidia cards by about 1%. zero devfee for 3GB cards in Windows 10, same as for all 2GB cards. applied some tricks to increase available memory for 3GB cards in Windows 10 so you can mine ETH a bit longer. now you can press “y” key to turn on “Compute Mode” in AMD drivers for all cards (Windows only). Linux version: removed openssl library dependency. improved “-logfile” option, now you can use it to specify a folder for log files, use slash at the end to do it, for example, “-logfile logs\”. added “-epoolsfile” and “-dpoolsfile” options. remote management: now “miner_getstat2” command also returns PCI bus index for every GPU. – added “-oldkernels” option (AMD GPUs only), you can try “-oldkernels 1” to use old-style GPU kernels from v10, they can be more stable for hard OC and custom BIOSes. – a bit reduced stale shares for Nvidia GPUs. – fixed issue with stale shares. – fixed issue with incorrect shares. – added automatic detection of best -dcri values in ASM ETH-only mode if -dcri option is missed. Press “s” key to see current values, you can also press “z” key to restart detection. – improved support for systems with many GPUs (eight and more) and slow CPU: much less CPU load, EthMan works fine now. – added assembler kernel for RX550 card. This card is not good for dual mining, but in ETH-only mode ASM kernel is faster by about 7%. – added “x” key to select GPU for manual -dcri value adjustment. – some improvements in AMD GPU kernels, it can increase hashrate a bit in some cases. – reduced some delays, it will cause a bit less stale shares. – added SSL support with pool certificate verification, it significantly improves security, use “ssl://” prefix for pools that support SSL encryption. Click here to read the full changelog and download the latest release. PCI-Express 1 to 3 PCI-e 1x Slots Riser Card: Is It Worth It?